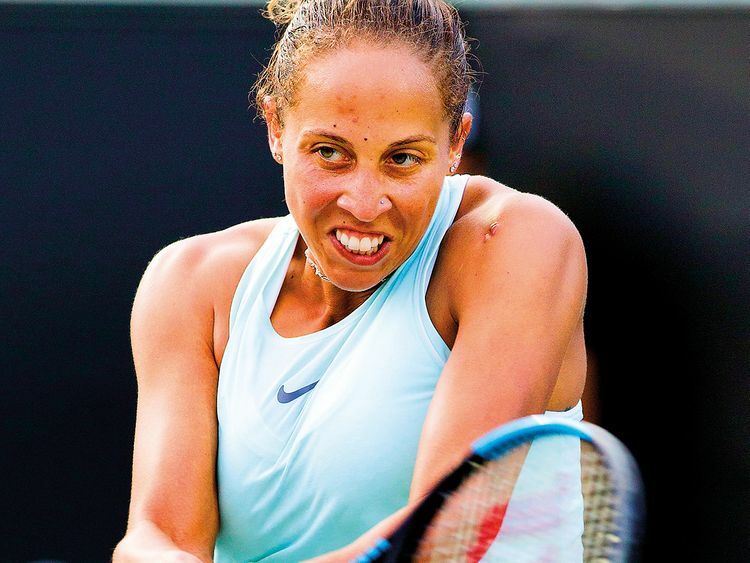 Charleston: Madison Keys overcame some uncharacteristically poor serving and elevated her game late on to edge fellow American Sloane Stephens 7-6(6), 4-6, 6-2 and advance to the semi-finals of the Charleston Open on Friday. Both players struggled with their serves in a match that included 13 breaks but it was Keys, who was able to cut down on the errors and step up the intensity in the third set, which she won when Stephens sent a backhand long. The match on the green clay also featured a see-saw first set tiebreaker in which Keys jumped out to a 4-0 lead before Stephens stormed back with six straight points. Stephens failed to convert either of the two set points she had on her serve and Keys unleashed a blistering cross court forehand winner to capture the hourlong first set. “It’s always tough to play a friend and it kind of shows at times like that,” Keys said of the wild first set tiebreaker. Former world No. 1 Caroline Wozniacki looked like she had fully recovered from the illness that sidelined her for two months earlier this year, playing nearly perfect tennis to down Maria Sakkari 6-2, 6-2. The fifth-seeded Dane will be a heavy favourite in her semi-final showdown on Saturday against Petra Martic, who upset Belinda Bencic 6-3, 6-4 in the morning match.